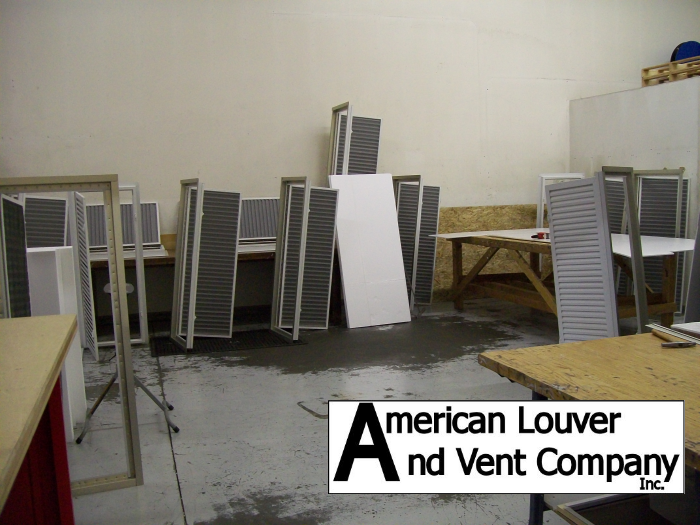 We Manufacture Custom And Standard Size Aluminum Gable Vents. 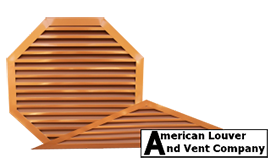 Attic ventilation serves two primary purposes: removing attic heat during hot weather and removing attic moisture during cold weather. 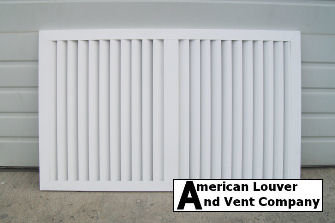 Attic ventilation is achieved through a proper balance of intake vents (soffit vents) and exhaust vents (gable vents). 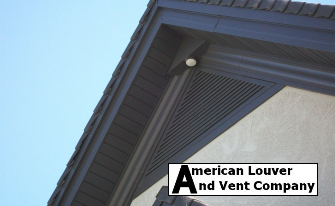 A balanced configuration of soffit vents and gable vents, sometimes called gable vent covers, work together as a system to allow air to move freely through the attic. Outside air is drawn into the attic through the intake vents forcing the warm moist air out through the gable vents. 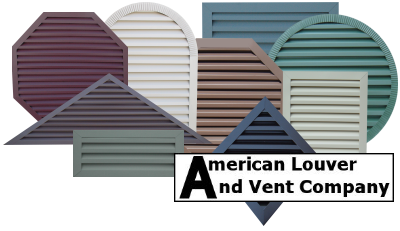 Because proper attic ventilation will help protect your home year round and promote a healthy roof. During the summer months heat build up in the attic can create undesirable conditions. Reducing the excess attic heat will mitigate these circumstances. Attic heat radiates down into the living space. Removing the heat before it can transfer to the residence will make the house more comfortable and will reduce cooling costs. Excessive attic heat can cause early deterioration of asphalt shingles. Some roofing manufacturers have specified minimum ventilation requirements to satisfy the warranties of the roofing materials. During the winter months moisture buildup in the attic can be problematic. Water vapor rises from the living space into the attic and then condenses. 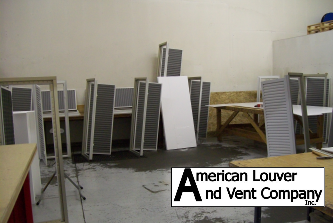 Adequate ventilation is crucial for moisture removal. Condensation in the attic can cause mold, mildew and structural damage. 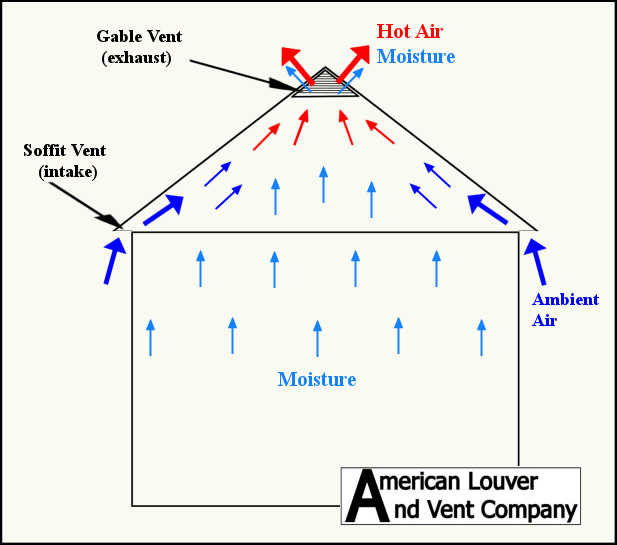 Inadequate attic ventilation can promote the formation of ice dams. 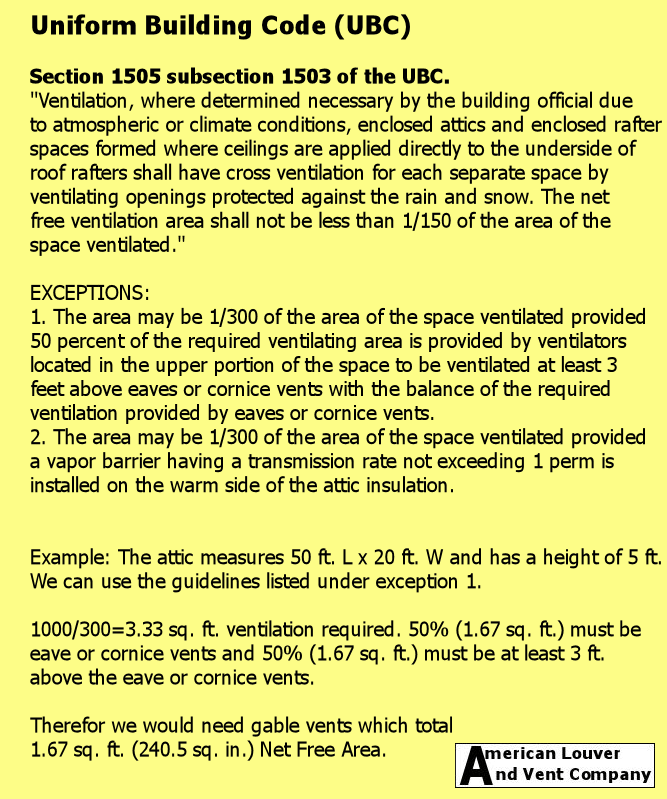 Attic Vent Calculation: The Uniform Building Code specifies the net free ventilation area required for attics. Some jurisdictions may have more stringent codes in place. Be sure to check with your local building officials to determine your requirements. 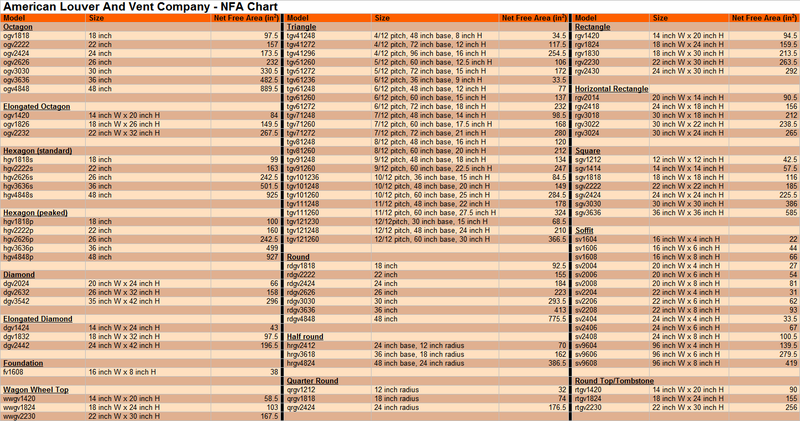 Once the required Net Free Area has been calculated use our NFA Chart (Net Free Area) to determine the correct quantity and size gable vents for your attic. 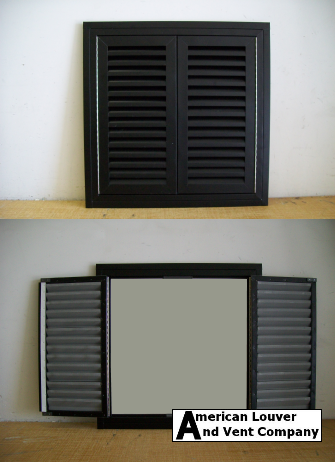 Our products are manufactured from high quality aluminum sheet. The raw material (aluminum sheet) is pre-finished with a 100% maintenance free baked enamel from the aluminum manufacturers. Never needs repainting. We also offer a mill finish (unpainted). 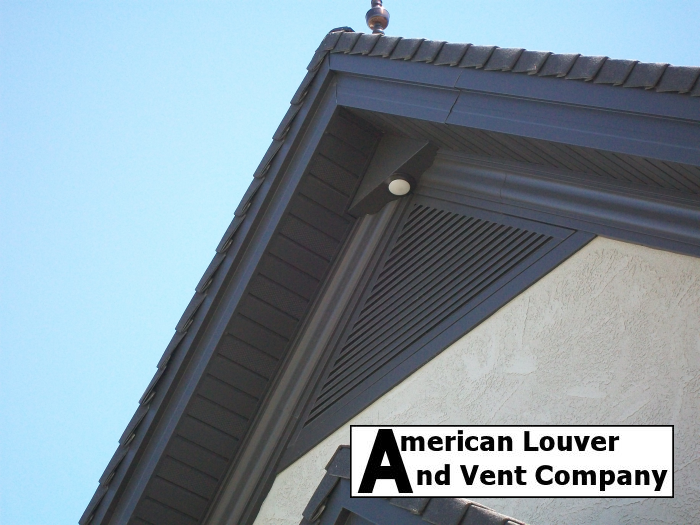 An additional benefit to installing metal gable vents is that woodpeckers DO NOT LIKE THEM! 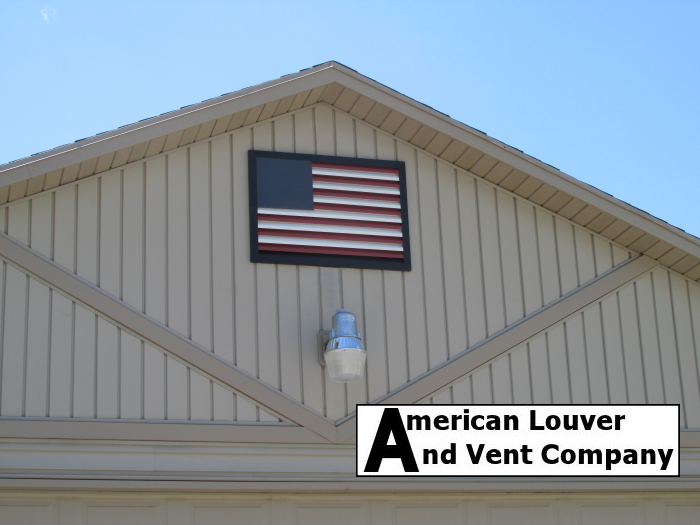 We offer over 25,000 different combinations of aluminum gable vents (shape, size, color and mounting flange options) that can be ordered directly from our website. 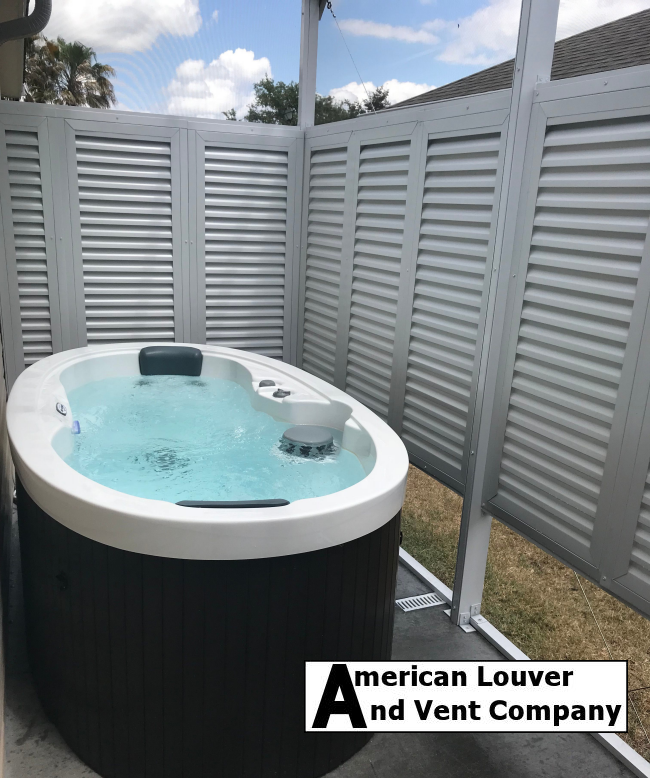 Simply visit our products page, make your selections and your gable vent order will usually be manufactured and on it's way within 4 business days. 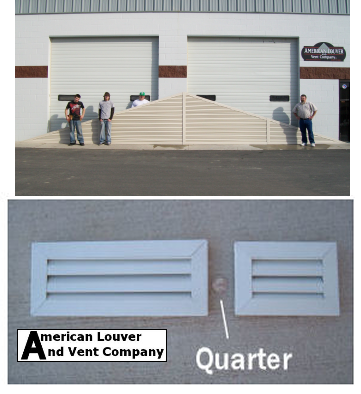 In addition to our stock gable vents we have solutions for special/unique or unusual gable vent applications. 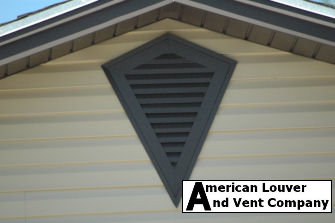 Whether large gable vents or small we are problem solvers and can get you any attic vent needed. If you need a size you do not see feel free to call us at your conveniance. 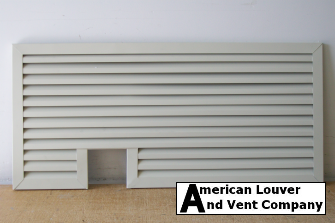 Squirrel & Raccoon problems - With a heavier grade aluminum and a stronger mesh we offer a pest resistant gable vent design available. Brick Extensions - We can install extensions on the back of any gable vent to bring the face out flush with brick/rock. 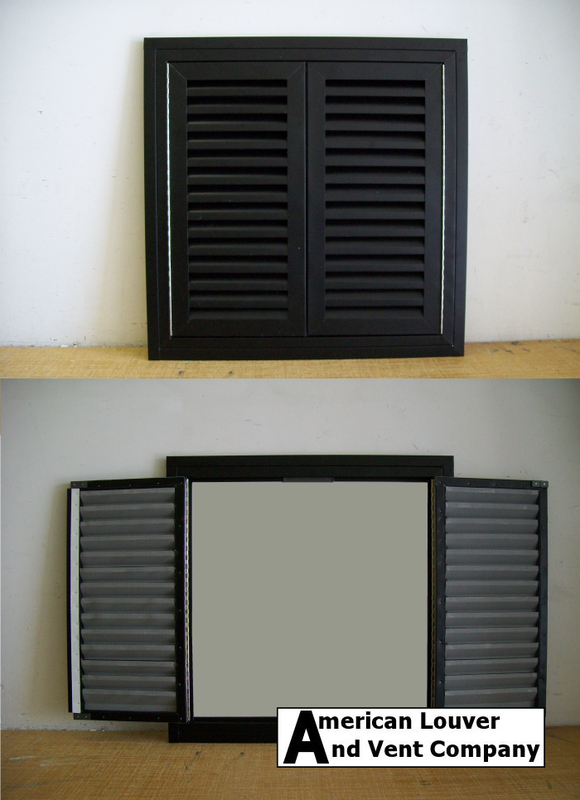 Special shapes/cut-outs/sizes - We can manufacture custom gable vent units to fit in any tight or odd shaped area or with cut-outs to accommodate chimneys, beams etc. 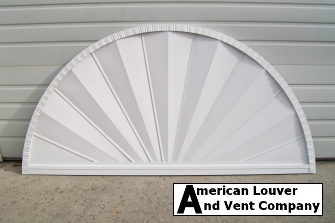 Custom Aluminum Gable Vents - We can customize any size attic vent, large or small. We can also accommodate any retrofit application. 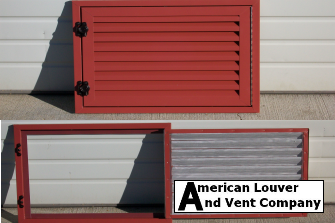 Attic Access - Any rectangle, square or octagon gable vent can be hinged for accessing your attic. 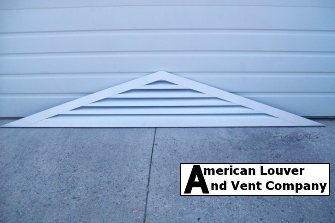 Our hinged gable vents come as complete units (much like a pre-hung door). 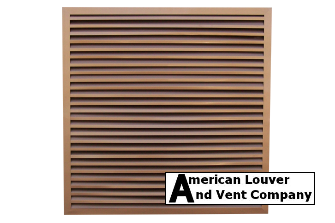 This makes installation no different than our standard vents. Very easy to install. Optional lock available. 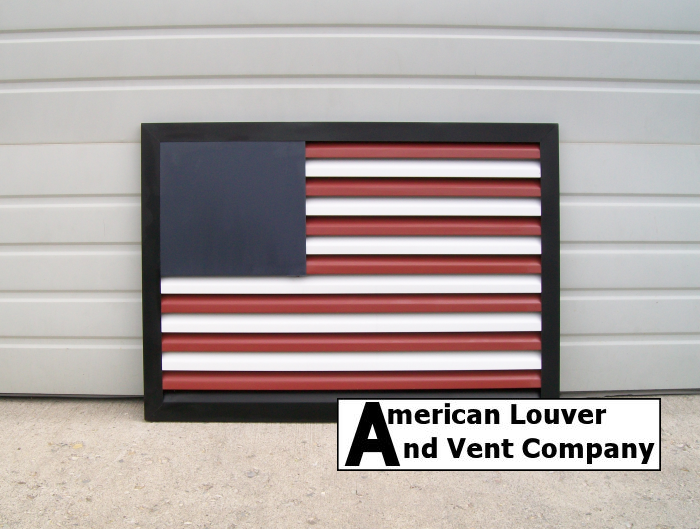 Colors - We have hundreds of colors available and can usually match any color you need. 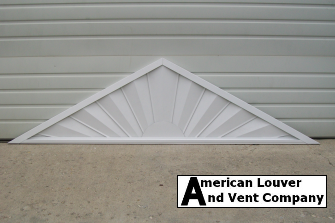 Cupola Vents - Our Horizontal Rectangle Gable Vents are an excellant choice for cupolas. Gable Decorations- We manufacture them also! 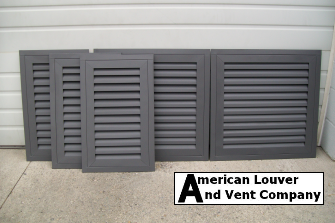 Please contact us for these or any other special gable vent requests. 1/15/19 - Hinged rectangle gable vents ready to package and ship. 9/11/18 - Hinged rectangle gable vent with double doors. 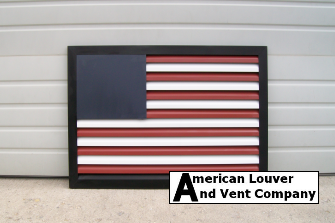 6/22/18 - American Flag Gable Vent Can also be made non-functional for use as a purely decorative piece. Just in time for July 4th! 6/15/18 - "Thank you for super service. We received the gables today and they look beautiful. Thank you." 6/14/18 - Galvalume Triangle Gable Vent! 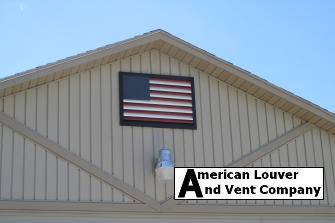 5/10/18 - NEW American Flag rectangle gable vent available NOW in 2 sizes! 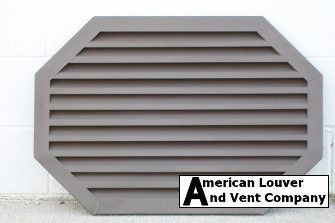 5/09/18 - Large triangle gable vent in Dark Bronze. Very popular color right now! 5/01/18 - Trending. Mastic: Dark Bronze. This color is red hot right now! 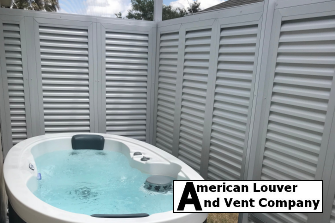 4/27/18 - Customer's picture of some privacy louvers we supplied. "Finished up today. 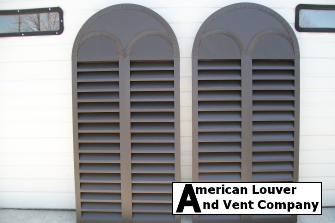 Louvers are perfect!" 4/25/18 - Custom round top gable vents shipped out today. 4/11/18 - First order in new color Royal: Ironstone shipped out. A great, deep, rich color! 4/03/18 - Horizontal octagon gable vent. Turned out really nice! 3/19/18 - Gable vents with vertical louvers are challenging and fun to build. The challenge is keeping rainwater from penetrating the vertical louvers. The fun part is creating unique designs. 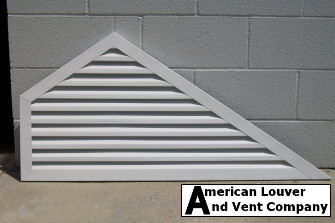 Here is a attic vent we just shipped out for use in an interior application. Check out customer feedback on our Testamonials page. Now you CAN get the shape, size and the color you want. All with a finish that will NEVER crack or peel!